This is Luke. He is our oldest child. I wanted his name up here on the menu bar, appearing prominent, representing that he is part of every experience, every site, every bite and every blog post in Italy. On July 9, when we left Seattle, it had been 5 years and 5 months since he died. His death still feels impossible. I knew the hardest part about leaving home would be leaving all the memories that surround us there. Luke is with me always, but it seemed so much more tangible when I could walk by his bedroom, touch his pillow, look at the pictures he drew and cry with friends who are familiar with that indescribable pain. Walking through the charming, narrow cobblestone streets of Perugia lacks a direct connection with Luke; we were never here together. There is no gelataria he loved, no bookstore he visited, no cafe where we sat together and no school where he attended. As beautiful, rich and vivacious as this country is, it can occasionally feel empty. We miss Luke. However, I have found some unexpected comfort lying in the history of this place. It’s so old here. There are so many stories. Throughout the ages, there has been so much creativity and so much life. Great people have walked here. Many of the world’s formative ideas were born here. But these cities also know death. There have been epic wars and devastating plagues. I know these piazzas have been covered with blood and sadness. Walking into any palace or cathedral and I can feel the centuries of loss. The sacred, earthy air gives me comfort because I know I’m not alone. Thousands of mothers and fathers have lost children. In fact, it use to be very common. So while there is no bench dedicated to Luke where I can sit while studying Italian verbs, I can walk into a church and light a little candle. Or I can touch a stone at some ruin. Or I can visit the underground cities. I can be part of this ancient country. I understand a little of what these people experienced. I love you all so, so much. 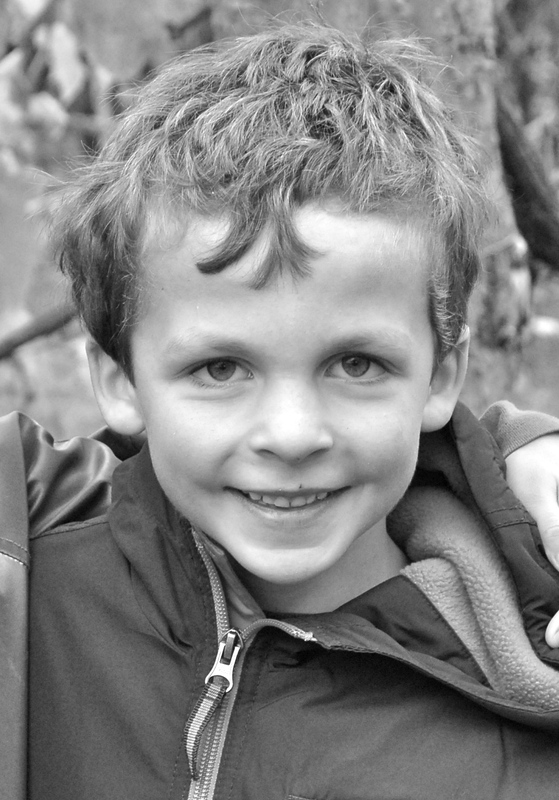 Your absence here, not being in your home, not seeing Luke’s room and drawings on a regular basis, has not lessened the heartache our family feels at the loss of our friend Luke as one might think (out of sight, etc…). If possible, it has intensified with the absence of your family and of that mecca for those of us who feel this intense loss with you. Our hearts are with you and our wish for you is love, growth, adventure, connections and memories on this year’s journey, all with Luke in your heart, as he is in ours. I’m so glad that you posted about Luke. His name looks like it belongs, as it does, in the menu bar. I still say his name out loud every day, just like I now say, “Hudson”. I thought about both of them quite a bit on my run this morning. I wonder if they’ve met each other yet. Jill, Sean and I just finished reading about Luke and we both agree that you are such a beautiful and eloquent writer. We can’t even begin to imagine the pain you, Matt and the boys have felt and continue to feel but we so appreciate you sharing this post with us all. Please know that although we never got to meet Luke we hold him close to our hearts, as we do ALL of you. Miss you. You are so wonderful. Thank you for always being so compassionate and understanding. Love you. It was so nice to see Luke’s name on the menu bar and to find this page. We think of him (and all of you) daily as a few of his photos are prominently on our refrigerator, alongside one of Rory. Your post about the Lamentation was incredibly moving, I didn’t even know how to respond. There is something so sacred about some of those paintings and churches and the way you wrote about it was beautiful. Love to you my friend. Something about your comment gave me such giant goosebumps. You can’t imagine how often I think of you whenever I look at art here. I wish you could help me appreciate it, understand it, and enjoy it even more. I’m glad you found this page. I know that Luke is part of your family’ story in a big way. Love you. Dearest, dearest Jill. Thank you so very much for your beautiful post about your precious Luke. I’ve just found it, and read it for the first time. I feel particularly vulnerable and fragile today (who knows why some days are more difficult than others? ), and reading the words of another heartbroken mom has dissolved me into unstoppable tears. So many of your words have touched my soul in such a gentle and tender way, as they mirror and reflect what is in my own tattered heart. Yes, this is the unbearable, impossible loss. I imagine my darling Leslie Anne with me throughout each day, and how I miss all that was and is wonderful and delightful about her. Both Courtney and I have prominent corners in our homes where we’ve arranged candles and pictures and messages for Leslie. In my kitchen, where I see it throughout each day, a candle lights Leslie’s corner from morning til night. After your mom’s request to light a candle for Luke, his candle, next to Leslie’s, burns all day long. Her beautiful spirit embraced everyone, and she adored her nephew, Braedon….so I imagine her with Luke, talking with him, reading to him, loving him. I love your thought that when we think of our darlings and miss them, then they are very near us in those moments. Your mom, whom I deeply love, has been such a comfort and an amazing source of strength for me during these past three months, and I know that her support has been informed by your loss of Luke, and her own. I would have written these thoughts to you in an email, but I don’t have your email address, and was moved to respond immediately to your post. I hold you and your family close in my heart during your wondrous adventure in Italy. And I remember Luke. Hey Jenny, Thanks for getting it. It’s hard to find words to say what it all feels like. I know you know what I mean. Thinking of your tremendously handsome BJ (with tears and heartache). And sending lots of love. Just spent the last hour immersed in your words, pictures and life with your sweet family. Fun to see your georgous Mom and handsome Dad looking so suave Italiano. Having just returned from three weeks in Honduras I loved what you wrote about taking something home from a trip besides a funky souvenir. I wrote and illustrated a childrens book in Spanish while I was going to school in Copan. Luke was in my thoughts during that time and frequently is. It sometimes feels harsh to not be able to cry, for days and days not being able to cry. That’s when I wonder what is happening to my hardened heart and then from some totally unexpected song or sight the flood gates open and I get the release of easy tears. Except they have never really come easy for me so this past year I have had to learn how to cry. It is an art form, a talent, something to practice. Es verdad. Funny a little, huh? Can’t believe my Danny will be gone a year in just a few more days. Time has never swooshed by so quick and so surreal. Be happy for me, I am better now. Christy and I are trying to put together a trip to France mid June. When are you coming home? Thank you for a much needed tearful release this morning, reading your blog is such fun and great therapy. I feel I owe you something, you may send me a bill if you like. Reasonable, por favor. Toni, Yes, an art. That is so well said. I feel that I’m always navigating between feeling completely vulnerable or detached and emotionless. Neither feel great, but the vulnerability seems to breed greater power. I don’t know if that makes sense or not. I am thinking of you this month. I can’t believe you’ve gone a year without Dan. That makes my stomach hurt. I am thinking of you and would so love to see you again soon. We are returning home at the beginning of July. Lots of love to you. Please save me a copy of your Spanish children’s book. I would love to read it. Thank you for thinking of Luke. Happy Birthday sweet Luke. We miss you. We love you. Luke has been a part of this year with you, as much as anything or anyone else. He’s an inseparable part of our big family and it’s proper his has top billing on this blog…..all his interventions and secret little ways to help you all find your way….and your iphone, and your luggage left at the post office. We have missed all five Deasys this year, and will welcome you all five home soon. Much love.